Fidel’s 90th birthday is scheduled to be celebrated in 90 countries, with events scheduled from Perth to Vancouver, La Paz to San Francisco, and Quito to Baltimore. These were the prophets, saints and martyrs of that “church”, the secular religion of our generation– and Che Guevara was, in the words of Alma Guillermoprieto, “the harsh angel”. Today, humanity is in crisis. In an important sense, the crisis of humanity is a crisis of alternatives. The present model of capitalism is in crisis. Imperialism has generated by its very actions, disintegration and terrorist anarchy. On the other hand while there are alternative forms of capitalism, there does not seem to be an alternative to capitalism as a system. While at the level of systems, humanity faces a crisis of alternatives, this is not so in terms of human conduct and ways of being—and this is where Fidel Castro comes in. In terms of human response rather than system or structure, there are at least three major, alternate ways of being: (I) that of imperialism, capitalism and its lackeys (II) that of terrorism and rejection of Western civilization, modern culture, and universal values and (III) that of synthesizing the three traditions of Romanticism, Rationality and Realism, of fusing patriotism and internationalism in a modern, universalist stance of resistance and rebellion: the way of Fidel. A. The way to fight: Fidel (and Che, and the Nicaraguan Sandinistas) showed how to fight against imperialism and its local puppets, including by the most radical of methods, that of warfare, while consciously eschewing the targeting of non-combatants, avoiding physical torture, treating prisoners in a humane manner and always occupying the moral-ethical high ground. B. The way to combat external intervention and hegemonism: Fidel stood up to the USA and regarded national sovereignty as sacred, while at the same time reaching out to the US public through the US media, in an unceasing dialogue through which he persuaded generations of American citizens of the irrationality and injustice of US policy towards Cuba. C. The paramount importance of “the battle of ideas”: the phrase originated with Jose Marti, but Fidel has been perhaps the world’s longest living and most successful practitioner since his pre-revolutionary days as a regular columnist. 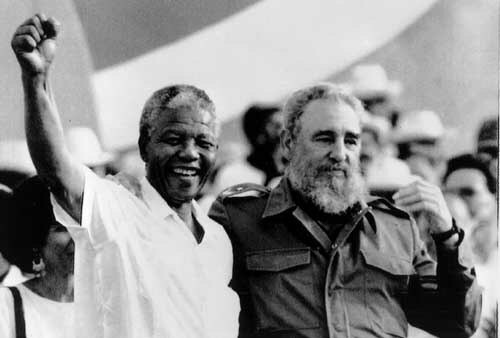 Fidel believes that “it is ideas that transform the world, the way that tools transform matter”. At 90, he still regards himself as a soldier in a trench, at the frontline, fighting in the “war of ideas”. What then is the future of Fidel’s perspective and paradigm? Is he only an icon of the 20th century? That would depend upon the direction the world takes. Students of Fidel’s recent writings would note that he sets considerable store by the advances made by China and the resoluteness shown by Russia. His 90th birthday comes the year before the centenary of the October Revolution and the month after the 95th anniversary of the founding of the Communist Party of China, on which occasion President Xi Jinping made a speech of cardinal importance, containing an international perspective of the most radical and consequential sort. If President Xi is right, then the alliance of Russia and China will not only be shield against Western aggression, but in a context of Western crisis, may be the motor force propelling a new and more balanced world order and even “put an end to the imperialist aspirations of the West”. This perspective hopes not only to reverse the effects of the Sino-Soviet schism of the 1960s-‘80s, but also partially countervail the collapse of the USSR– which President Putin designated “the greatest geopolitical tragedy of the 20th century”. Furthermore it provides a hopeful perspective, broadens the space and enhances the options for those countries of the South which are fighting against threats to national sovereignty from Western interference and attempts at hegemony. A renewed “alliance” or “union” of Russia and China is something that Fidel, Che and Ho Chi Minh fought for valiantly but unsuccessfully in the 1960s. At 90, Fidel must be satisfied by the new direction. If these ‘grand strategic’ changes in the global balance of forces that have been outlined by the Chinese leader unfold, they would be a global backdrop for the struggles against a world order that Fidel sent most of his life resisting and countering, and constitute the canvas for the renewal of a progressive project for change in this 21st century. In the final analysis it is only the adoption of Fidelist ethics and example, that can morally and intellectually re-arm the leading forces for global change which will be objectively backstopped by and benefit from the burgeoning Sino-Russo bloc, while conversely, it is this Eurasian alliance that can shift the global balance and provide the evolutionary context and condition for forces of progressive change inspired by Fidel’s example and ethics, to transform the world. I am a second generation Fidelista. The 90th birth anniversary of Fidel coincides with the year of the 60th anniversary of the Granma landing (and, to strike a trivial personal note, the 60th year of my birth). As a boy I was taken in the early 1960s by my father (an elitist cosmopolitan liberal and internationally reputed journalist), to lunch at the Harbor Room of the Hotel Taprobane with Armando Bayo, the son of the iconic General Alberto Bayo, the veteran of the Spanish Civil War who trained Fidel and Che Guevara in guerilla warfare before they embarked for Cuba on the Granma (which landed around the time I was born.) The ginger-blonde bearded Armando Bayo was Cuba’s first ambassador to Sri Lanka, at the time Ceylon, and was based in New Delhi. When my father died I discovered among his most important papers in his briefcase the invitation which took my parents to the 6th Nonaligned Summit in Havana, bearing the embossed signature of Fidel Castro Ruz. Therefore it was most gratifying when I was interviewed lengthily last Sunday by a young Jewish American woman for a program on the 90th birthday of Fidel for TELESUR, the TV station launched in Caracas, Venezuela during the tenure of Hugo Chavez (and headquartered there), sponsored by the governments of Cuba, Nicaragua, Ecuador, Uruguay, Venezuela and Bolivia. Fidel is a touchstone, a litmus test, a living line of demarcation. 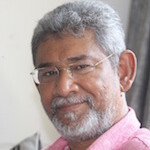 Those who remember and respect Fidel, including in Sri Lanka, may come from across the political and ideological spectrum and may even be rivals, but they hold certain values in common. High on the list are independence, national sovereignty, unity, territorial integrity, social justice and people’s welfare. As Ramonet says, Fidel gave leadership to “a small country which has for almost fifty years refused to relinquish its national sovereignty to the greatest superpower on the planet”. Jose Ramon Balaguer, head of the International Department of the Central Committee of the Cuban Communist Party comprehensively declares in a definitive message on Fidel’s 90th birthday: “…We reiterate our commitment to stay faithful to the ideas he’s fought for throughout his life and to keep the spirit of resistance, struggle and dialectic thought alive… He has reminded us today as always that we will continue fighting as long as imperialism exists”. Meanwhile on August 13th, Cuba will be transformed “into one giant concert”, reports the Havana Times.